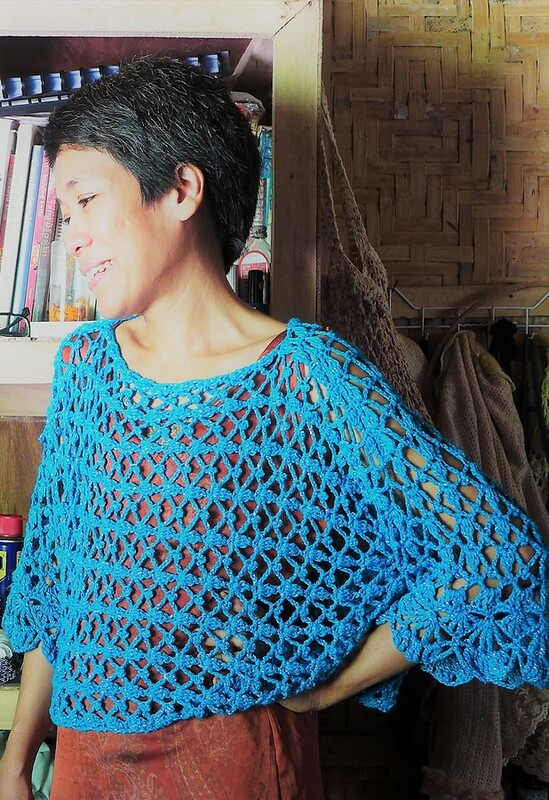 Now available in Crochetology Pattern Shop - US$2 for pattern to make a Lacey Top and Poncho/Shawl. Make this lacey top to compliment any dress or a sleeveless top. Instructions are for lengths and sizes of your choice. This design is best worked in solid yarn colors with a touch of glitter. Enjoy! This pattern is part of the Crochetology challenge and is available free with purchase of The Glimmering Poncho.